Ishwar Charitable Trust (ICT) was established in 1982 by Dr. Sushil Choudhry in the name of his Late Mother Smt. Ishwar Choudhry. ICARE Eye Hospital was established in 1993 in Noida under the Ishwar Charitable Trust. 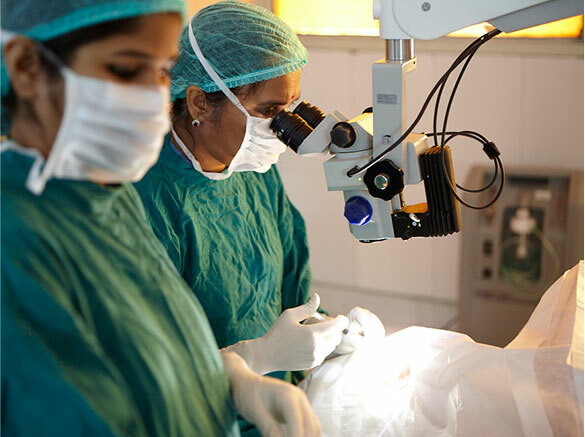 Presently ICARE is situated on an acre of land in Noida and equipped with the entire range of state of the art diagnostic, curative, and surgical equipments in the field of Ophthalmology. ICARE is manned by a highly qualified skilled, competent and motivated medical, paramedical and support staff providing comprehensive diagnosis, treatment and surgical services covering the entire range of ocular sub-specialties comparable to international standards. The well equipped OPD with nine sub-specialty clinics examines and treats 150-200 walk-in patients every day. 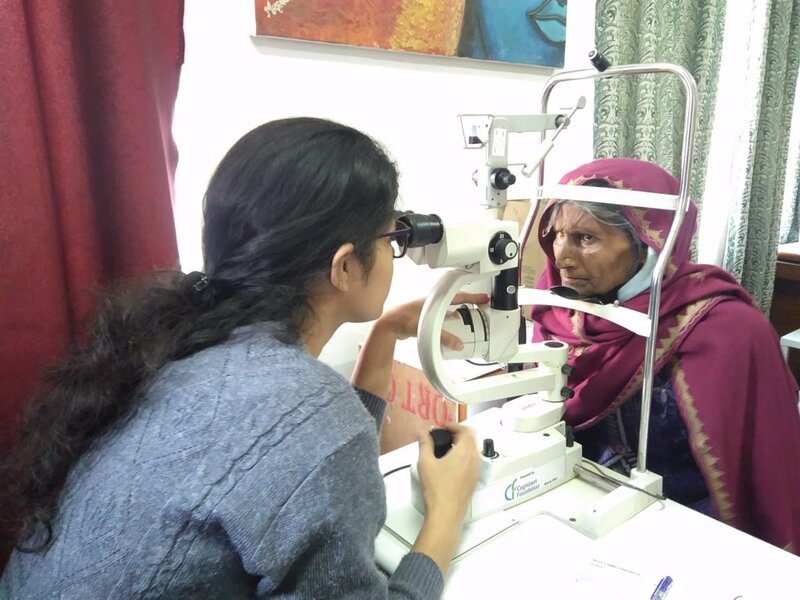 ICARE has been providing free of cost eye care services to rural/urban underprivileged communities in the in and around National Capital Region (NCR) for the last 20 years. ICARE provides eye services by conducting eye screening camps for populations in villages/ slums and performing eye surgeries for patients with curable blindness. Last year, more than 9000 patients from underpriviledged community received free of cost surgical services while more than 1,00,000 patients received other free services related to eye ailments and care . Please click to view ICARE annual report for the year 2012-13. Please click to view ICARE annual report for the year 2013-14. Yoginder Kumar, 6 years, belonging to village Mohbatabad, Khurja district Bulandshahr was born with defective eyes (cataract). His vision started deteriorating since age 1 but went unnoticed. Yoginder’s father died three months ago due to kidney failure. His mother started to manage the household. He has one sibling whose age is just 1 and half years. 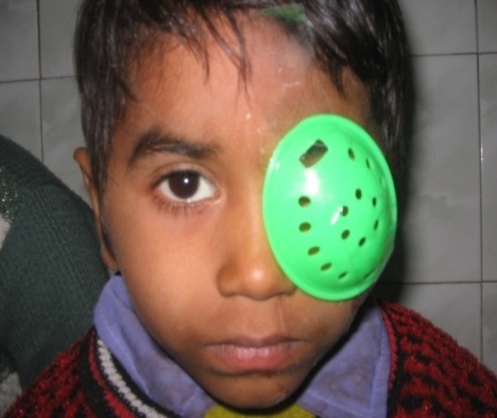 Yoginder started showing symptoms of his eye defect and was facing extreme difficulty in his daily life. His mother couldnt help much as they were in dire financial situation. Yoginder’s grand father brought him to ICARE ICARE Eye Hospital camp at Khurja, Noida for a check-up as a part of free services program. During his investigation at the camp, Kala was found to be suffering from Cataract in both the eyes and needed immediate surgical intervention. The next day Yoginder along with his grandfather were taken to ICARE hospital, Noida for the surgery. The next morning his right eye was operated upon and after two weeks other eye was also operated. His both the eyes were successfully operated, his grandfather is really happy to see his grandson got the vision back. Nathu Lal a forest guard from Bhadurpur village Pilibhit (U.P) had experienced worst phase of his life couple of years ago when his whole body got paralyzed due to some intake of food toxic. He has three children one girl and two sons all married. He along with his wife is living separately from his sons. He runs his household from the pension amount which he gets from the government and the income from a small piece of land which he has given on lease. He started losing his vision since six months which has become a further impediment to carry on with his daily life. 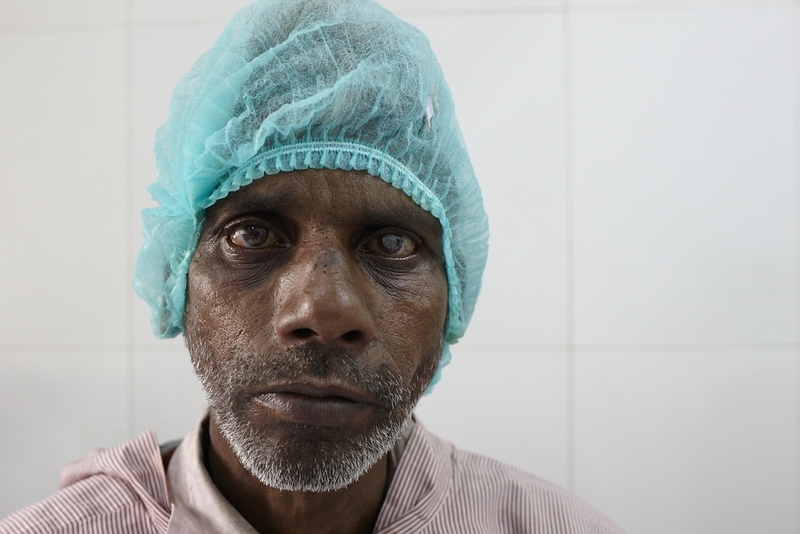 He managed to attend the eye screening camp by ICARE and he was diagonsed with Cataract in his right eye. He was suggested for a surgery, by hearing the word surgery he got little worried about money. He got comforatable when he got to know about the free surgery and happily consented for the surgery. He was brought into the base hospital along with other patients. He was examined again and his operation was done was successfully done on the next day. After surgery with vision restored, he now got back to his daily activities.